Welcome along to the wonderful world of online dating, whether a total newbie or a seasoned dating connoisseur I’m here to give you the lo-down on my dating exploits, help you compare online dating prices and give an honest account of online dating. Sprinkle in some advice on the vast array of dating sites available and some loveable commentary by yours truly and you have the makings of The Dating Price Guide! Im guessing that like me, you have decided to give online dating a try and your first question could well be “How Much Does Online Dating Cost?”. Unfortunaly online dating isn’t free, well the best sites and the ones worth your time aren’t free but I’m here to help you save as much money as possible and to help you find the cheapest dating site for you! DatingPriceGuide.co.uk is here to help highlight the costs you can expect to pay if you choose to join an online dating site. More than that, I have personally joined every site listed here to help give you some honest feedback so you can reasonably decide which dating site is best for you. Over the years of doing this I have also found ways to get sneaky discounts and squeeze as much money from the dating sites as possible, so you will also find the most up to date discounts and promo codes for the most popular dating sites in the UK, including eHarmony, Match.com, Guardian Soulmates and more! If you are looking for a comprehensive list of every dating site in the world, then head over to Wikipedia, who do a great job of that. BUT If you want to know what you get for your money, how real people found the sites and get alerted when there is a free trial live, then DatingpriceGuide is the place to be! To help give you an overview of the most popular dating sites in the Uk, I have included the below table so you can see, at a glance, the amount you can expect to pay if you join a dating site in 2016. Its important to note that different sites have difference membership types and also costs do change over the year. If you want more information, click on the links above for a more detailed insight into the various dating sites, their costs, benefits, reviews and the like – if you have any questions, feel free to hit me up on twitter or drop me an email. eHarmony – eHarmony are one of, if not the, leading UK dating site. They are famed for using complex algorithms to match you with potential partners and saving you the time of trawling through countless profiles. We currently have an eHarmony promo code that will get you a 12 month membership for £9.99! Match.com – match.com are the world’s largest dating site, they have a huge database of users and they brand themselves on having a huge pool of people for you to search through. Match.com very rarely have any discounts but we do have a 3 day match.com free trial exclusive for our users live this week. 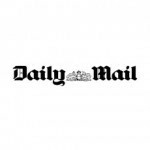 Guardian Soulmates – Guardian Soulmates are a rising force in the UK. Attracting people who have similar views on the world and saving you time by surrounding yourself with people you are more likely to agree with and get on with. 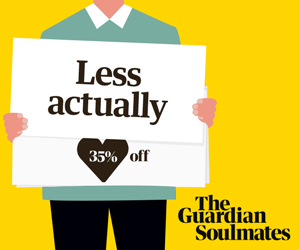 They do not have any live discounts at the moment but we regularly feature discounts from Guardian soulmates, so if you are looking to join, make sure you join our newsletter first. Lovestruck – Lovestruck are focused on city dwellers and seem to be on a downward trend when it comes to attracting new users. They are heavy with discounts and you can usually find a promo code for Lovestruck when signing up, so keep your eyes peeled. This week, there is 30% off Lovestruck memberships which will end Sunday. Now, the most common question we get asked is around free trials. Can I get a free trial for eharmony? Do Match.com do free trials? Where can I find an Elite Singles free trial? PLEASE NOTE, this is a generalisation and you will need to read the small print of each site before you sign up. Occasionally we do get exclusive free trials, Match,com are the best for this, so please sign up to our newsletter to get an alert when we get a match.com free trial. The next best things are free events. The site that jumps to mind is eHarmony. For a full breakdown and for information on their free events, read our Free communication weekend page, which includes all the info and dates you will need to know. We are quite active in the online dating world, we are contributors to some of the leading dating sites in the UK or if you want to, you can read our blog which is full of tips, tricks and occasionally pointless information for your entertainment. We cover all topics, provide best practices when signing up, tips for writing your dating profiles, helpful advice on staying safe and comparisons between dating sites to help you choose the best one for you. Please take a look around and if you have any information, drop me an email.